A rich black marble design without ACTUAL marble? Yes please! Protect your precious investment with this stunning laptop case and personalize with a blush monogram. A rich black marble design without ACTUAL marble? Yes please! 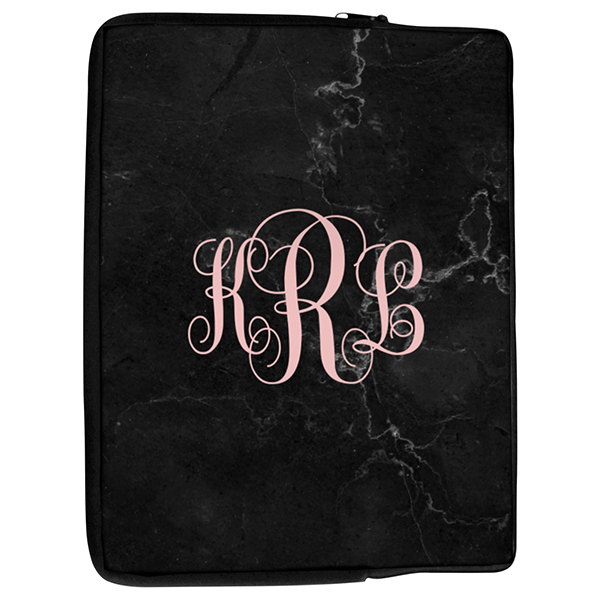 Protect your laptop with this stunning laptop case and personalize with a feminine monogram. This case measures approximately 14.2" x 10.8" so it fits many types and sizes of laptop. Our products are Made in the USA.